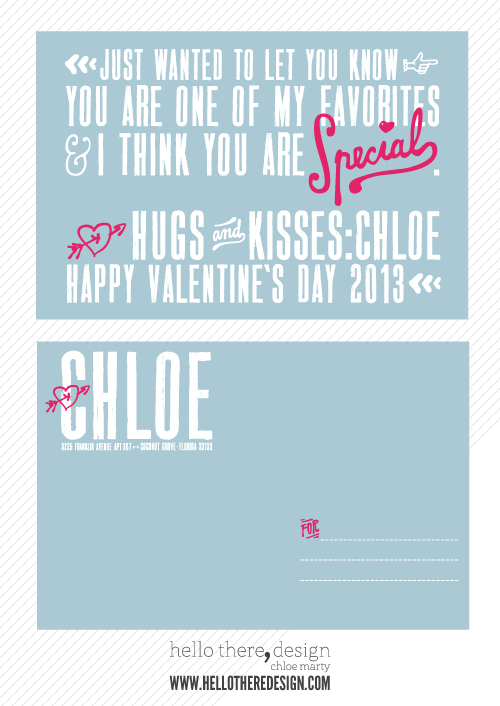 Valentine's Day didn't sneak up on me per say, but getting my Valentine's designed sure did. So, here is my Valentine ... 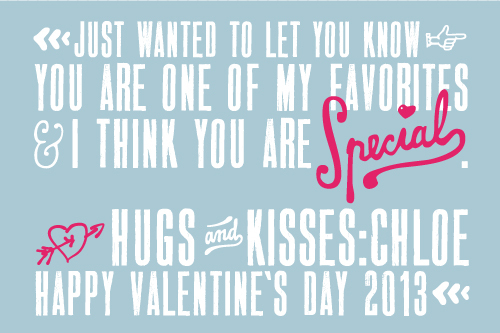 I am sharing it on the blog today, but my close family and friends who will be getting one via mail will be getting a belated Valentine since they just arrived from the printer yesterday and I have yet to send them out. Oops! Honest, it should not detract from the message or sentiment! I went with postcards (I did last year too)... 4x6" in an untraditional Valentine color palette but a very Valentine-appropriate message. Do you still send out Valentines?